Other Names: Ahuano, Caoba, Mara and Mogno. The Big-leafed mahogany is a giant tree found in both wet and dry tropical forests in Central America and within Brazil, Colombia, Ecuador, French Guiana, Peru and Venezuela in South America. It is named after its huge leaves which can grow to a length of over 50 cm. The species is more famous however for its rich, red timber. The wood is highly sought after for furniture, panelling, lumber and has technical qualities that make it just right for making a range of musical instruments. Trade in the species is critical to local economies in the ‘range states’, countries where mahogany grows. However over-exploitation for the global market has led to estimated population declines of up to 70% since the 1950s. As one of the most precious of tropical hardwoods, the high prices mahogany fetches pay for the construction of roads into areas where commercial logging would otherwise be untenable. The ‘rush for red gold’ also attracts illegal logging into forest concessions, parks and indigenous people’s reserves. There is some indication that mahogany does not successfully regenerate following commercial harvest. Mahogany is predominantly harvested by ‘selective logging’, in which only high value trees are extracted from the forest. This practice does not create the light conditions that are necessary for regeneration and removes the majority of the seed producing trees. Most mahogany-producing countries do have laws and regulations in place to support sustainable forest management, and the species is included in Appendix II of CITES (The United Nations Convention on International Trade in Endangered Species of Wild Fauna and Flora), meaning that any export operation requires a permit. However, the extent to which the authorities of the range states have been able to successfully implement the requirements of Appendix II varies. Illegal logging of the species has recently spiked in Peru, in part due to improved regulations in neighboring countries. Here the species has all but disappeared from easily accessible watersheds, and logging pressure is moving rapidly into protected areas and indigenous reserves. You can support mahogany conservation by only buying mahogany products from certified forests, such as those products that carry the Forest Stewardship Council (FSC) trademark. 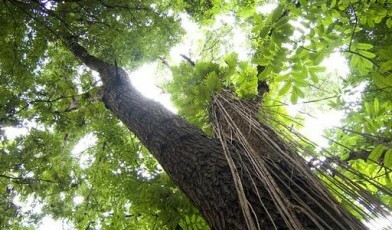 A population of Big-leaf mahogany is protected in Global Trees Campaign supported sites in Belize. Brown, N., Jennings, S. and Clements, T. (2003) The ecology, silviculture and biogeography of mahogany (Swietenia macrophylla): a critical review of the evidence. Perspectives in Plant ecology, evolution and systematics. Vol. 6/1,2: 37-49. Mayhew, J.E., Newton, A.C. 1998. The silviculture of mahogany. CABI Publishing, New York. Robbins, C.S. (2000) Mahogany matters: the US market for big-leafed mahogany and its implications for the conservation of the species. TRAFFIC North America. Washington, D.C., USA. Rosser, A. and Haywood, M. (2002) Guidance for CITES Scientific Authorities. Checklist to assist in making findings for Appendix II export. IUCN Species Survival Commission Occasional Paper No. 27. IUCN, Gland, Switzerland and Cambridge, UK. 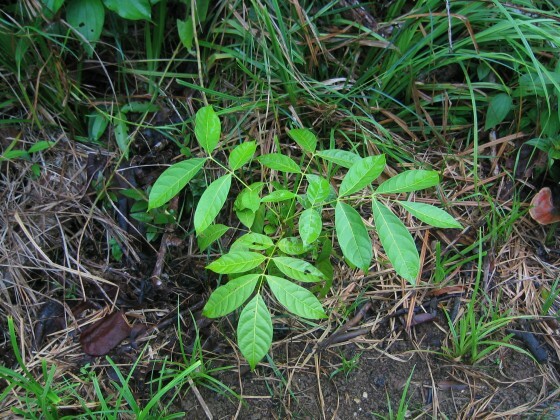 TRAFFIC (2002) CITES Appendix III Implementation for Big-leaved Mahogany Swietenia macrophylla. TRAFFIC Online Report Series No. 1. TRAFFIC International, Cambridge, UK. WWF (2002) CITES Appendix II listing and FSC certification: complementary strategies for conservation and sustainable management of timber species? A WWF Discussion Paper. WWF International Species Programme, Godalming, UK.